Any day now, we may hear from some football official in Sao Paulo, having taken lessons from the Uruguayan FA following the Luis Suarez biting scandal, that Europeans just don’t understand Latin American footballing traditions. There are clues as to what possessed Bastia’s Brazilian Evaeverson Lemos da Silva, commonly known as Marlon Brandão, to lie in wait as the teams walked towards the dressing rooms after PSG’s 2-0 victory at the Parc des Princes on Saturday night. He then butted another Brazilian-born player, Thiago Motta, breaking his nose (NB to sub-editors the English-speaking world over: headbutt it tautologous) before scampering off with Motta and bloodied nose in pursuit. See the clip below. A teammate says Motta, who has Italian nationality, had got away with calling Brandão a fils de pute – son of a whore – under the referee’s nose (he stopped short of saying this made it OK to break the culprit’s). For his part, PSG’s manager Laurent Blanc says “our friend”, the same Bastia player, had earlier forced off Grégory van der Wiel with injury after kneeing him in the back. Nasser Al-Khelaifi, PSG’s president, wants Brandão banned for life, which may seem unduly lenient for such thuggish behaviour. Brandão, who received no support from his manager, Claude Makelele, afterwards and may now be sacked by Bastia, will presumably argue that anything Zinedine Zidane can do – and still remain a favoured figure of French public life – he can do better. Or perhaps he just reckons that at 34, it is time to hang up his boots anyway and concentrate on a career in violent crime, for which there may be openings should he stay in Corsica. Ligue 1 started earlier than the Premier. PSG, a fairly charm-free moneybags club owned by Qatar’s sovereign wealth fund, are hardly models of fair play: they kicked off the season with a Friday night game at Reims and the match not even 20 minutes old before Zlatan Ibrahimovi?’s outrageous dive – surely the first of the season in European top flights – fooled the ref into awarding a penalty. PSG could only draw 2-2, some sort of natural justice, but they have bottom-placed Evian Thonon Gaillard (beaten 3-0 at home by Caen and 6-2 at Rennes) so can be expected to take over from Bordeaux and St Etienne at the top before long, and to stay there for the rest of the season. Monaco’s Russian brand of moneybags football is stuttering so far, two defeats in two and kept off the bottom only by Evian’s wretched goal difference. Otherwise, our Stee…eeeeeeed came off the bench in Lyon’s first game to score the first of the two goals that beat Rennes but was not involved in Saturday’s defeat at Toulouse. 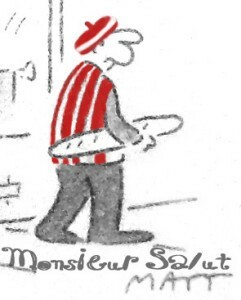 I will again offer occasional snippets from French football this season – at least until Salut! Sunderland readers present a petition demanding that I pipe down. Will the real Mauricio Pochettino stand up or feel ‘entitled to go down’? I used my newly acquired subscription to BT Sport to watch the Bordeaux v Monaco game on Sunday night. 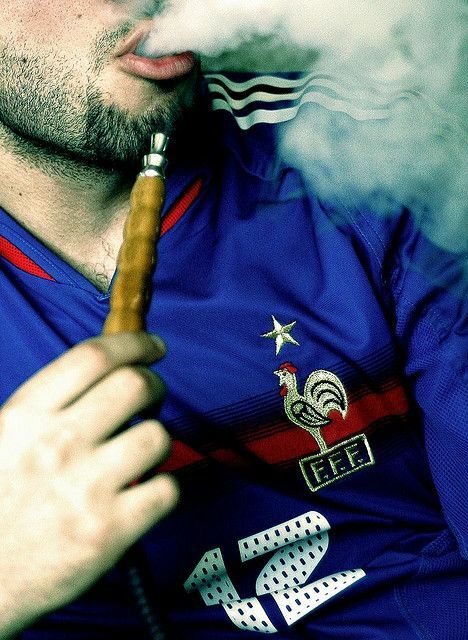 I liked Les Girondins, who played with a passion that I rarely associate with French football outside of Lens. Monaco looked dreadful – a rag bag collection of money players, typified by Berbatov, who ranks as one of the top five show ponies of all time. The Russian billionaire owner looked distinctly unimpressed as Bordeaux rattled in three quick goals. If Brandao leaves Bastia, that may give Ba an opportunity to show us if he is any good – then we can sell him for a profit or re call him. The Borini saga rumbles on. This morning’s Northern Echo says that Poyet is now looking elsewhere.